1 Jesus... This is pretty darn handy for school. Testing it now! 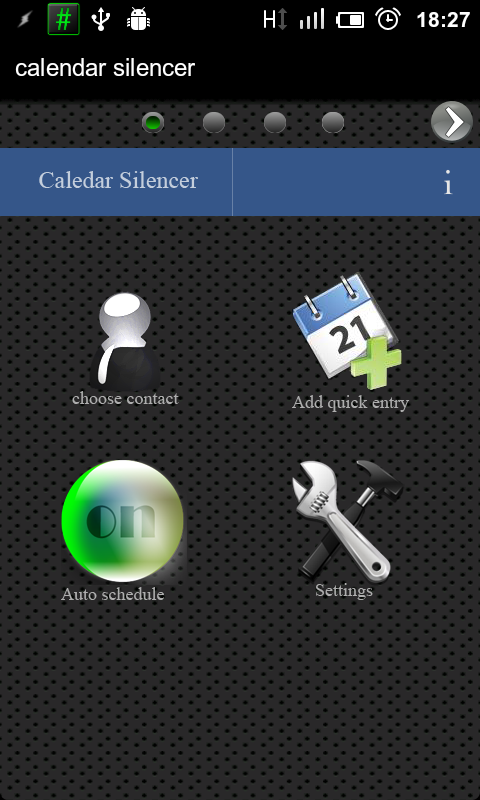 Calendar Silencer is an app that is responsible for muting your phone during meetings / dates / movies .... and unmuting your phone when the meeting ended. specify which calendars you want to watch - default all. choose silent mode - silent or vibrate. enable notifications - enable this to receive notification a minute before the event start . choose time to scan - select how much time you wish for the app to scan ahead. from the main screen slide left or press the right button on the top right corner to move to events screen. from the events screen tap menu and "update from calendar" to get a list updated events. tap on an event to get list of actions. from the events screen slide left or press the right button on the top right corner to move to filters screen. note that in free version there is only 1 type of filters which are "ignore this" filter. Jesus... This is pretty darn handy for school. How about Touchdown support? That would make this incredibly handy for Exchange users! Touchdown actually does not sync anything to the device. since this app read local synced events it can't read Touchdown settings or data (events for that matter). once you synced you device this app will be able to read Exchange calendar. I bought the full version but just can't get it to work. 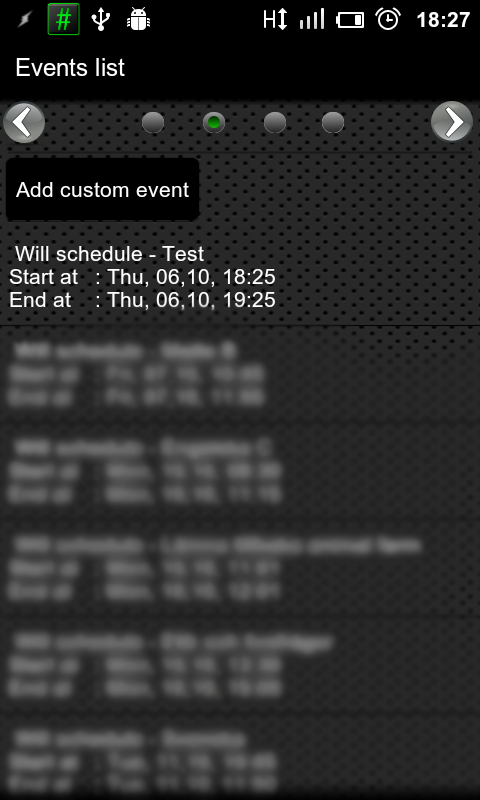 I went to "Events list" and pressed menu > Update from calendar, and I can see all my events in the list. But it just says "will schedule - event". Then I go to the "Filters list" and see "all. schedule", yet my phone does not go silent when my events start. The on/off button is very confusing. When the button is red and says "off", does it mean that it is off, or that I should press it if I wish to turn it off? 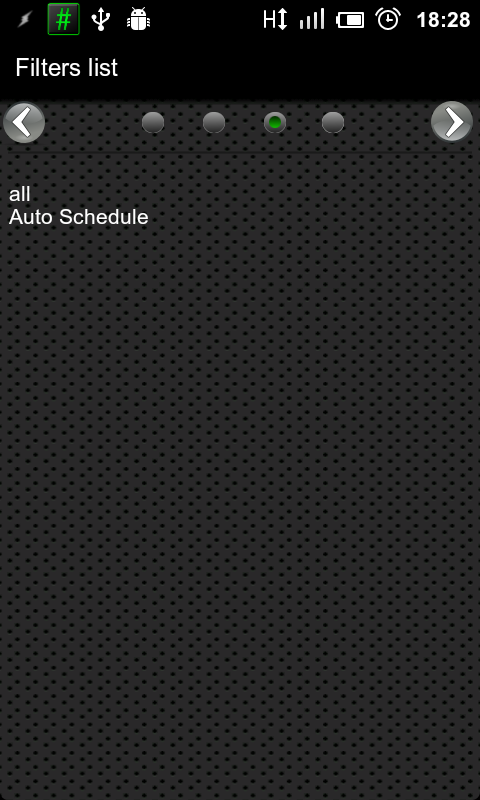 "all schedule" is the default filter that indicate that all events will be scheduled. please pay attention that even event will be scheduled automatically only if the on/off button is in "on" state. Pay attention that Calendar Silencer will not schedule events that already in progress, for example if you have event that start in 12:00 and you started the auto schedule in 12:05 the event will not be schedule. It was MIUIs fault, thanks for the support Swarly! The app now works brilliantly! Highly recommended! I've been using a different app that seems to have this same feature set, and has been around longer. How is this better than other competing apps that perform the same functions?